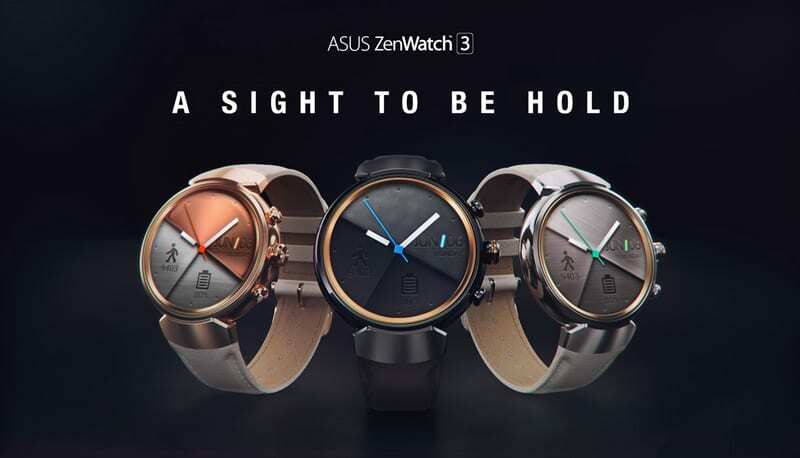 The Asus ZenWatch 3 is one of the last Android Wear 1.0 that was released this year although it is upgradable to the latest Android Wear 2.0 if you want to. The Asus ZenWach is currently Priced at $212 and is one of the good-looking Android smartwatches you have out there. The Asus ZenWatch is the first round smartwatch from Asus, with no flat tyre in sight, the smartwatch offers an excellent display experience. It comes with a 1.39-inch display with a 400 x 400 resolution AMOLED display and a pixel density of 287ppi that gives an incredibly sharp colour display. At the right side, there are three faux chronograph buttons, with a rotatory button in between and doesn’t work as a scrolling crown as we have in recent smartwatches. The button at the bottom by default puts the smartwatch in Eco mode another form of saying aeroplane mode although it can be changed to any other thing you prefer, while the top button opens to Asus’s ZenFit app and can also be modified. The display is very lit although its ambient light sensing favours dimming the screen more than necessary. The case is 45mm in size and a thickness 9.95mm; the size is which is pretty much on the big side for small wristed people. In comparison to the Zenwatch 2’s design, the Zenwatch 3 is way better than its previous generation. The ZenWatch 2’s design was generic and uninteresting, while the ZenWatch 3 has a stainless steel case with an eye-catching rose gold accents surrounding the display which has a more mature look. The Android Wear on board has some Asus twists to it that makes it a bit unique although it might all change after an upgrade to the latest Android software. There is no built-in NFC chip which means upon the upgrade the Android Pay, no heart rate sensor, no GPS, which makes it more about the looks for those pitching for a classic wearable. The smartwatch focuses more on the aesthetics than fitness features with the lack of major fitness utilities. However, it offers some quite useful fitness feature using the Asus’s ZenFit app. Distance is measured using movement sensors with the absence of the GPS built-in and an entirely perfect sit-up and push-up tracking. The smartwatch is powered by a Qualcomm Snapdragon Wear 2100 chip, 512RAM and a 4GB internal memory for storage of music, pictures amongst other things. You can use the onboard storage to download the playlist and listen to music directly on your headset. In case you are looking for a standalone device, the smartwatch does not have LTE connectivity so you would have to look elsewhere. The ZenWatch 3 has an IP67 standard dust and water resistance which means the water can stay in up to 1 meter of water for up to 30 minutes. It can withstand rain splashes, but it is not suited for swimming or bathing. There is a 341mAh battery built into the device which should last for about two days on average use. However heavy usage tends to burn off more battery time. The battery takes about 30-45 minutes to get fully charged which is one of its redeeming features. 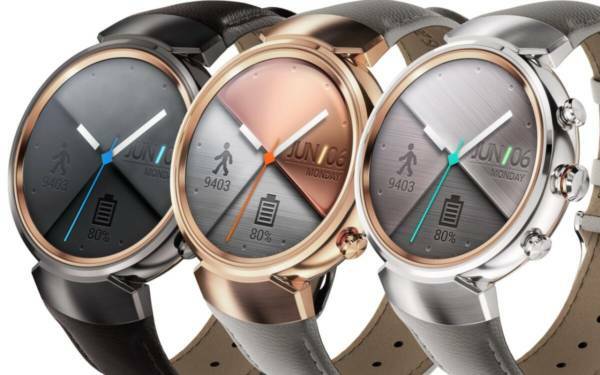 What is The Current Asus ZenWatch 3 Price and Availability Status? You can click on the links below to view latest Asus ZenWatch 3 price & availability.